WASHINGTON—Saying he reached the decision in order to protect everything the civil rights icon represented, Sen. Chuck Grassley (R-IA) confirmed Tuesday that his 1983 vote against making Martin Luther King Jr. Day a national holiday was cast after anticipating that the country would sanitize and dishonor the leader’s memory. “Way back in the ’80s, I already knew MLK Day would just be the first step by the powers that be to recast Dr. King’s radical civil disobedience as some sort of bland and ineffective centrism,” said Grassley, who stressed that his greatest fear while voting was that there would come a day when politicians and corporations appropriated the famed activist’s image for crass self-promotion. “My sole motivation here was preventing the kind of future where people only pay lip service to some commercialized version of Dr. King without ever taking the time to truly understand his revolutionary vision. And yet here we are, in a world where the FBI is actually tweeting about him like the COINTELPRO surveillance operation never happened. 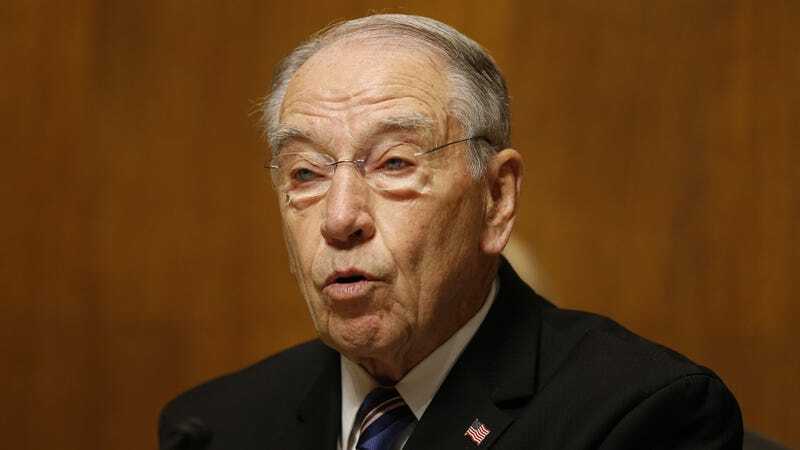 What a travesty.” Grassley also noted he had only stayed silent on the issue since the vote because he believed anything anyone could possibly say about the famed orator and Baptist minister had already been said better by the great man himself.